It was a beautiful night for a WNR! 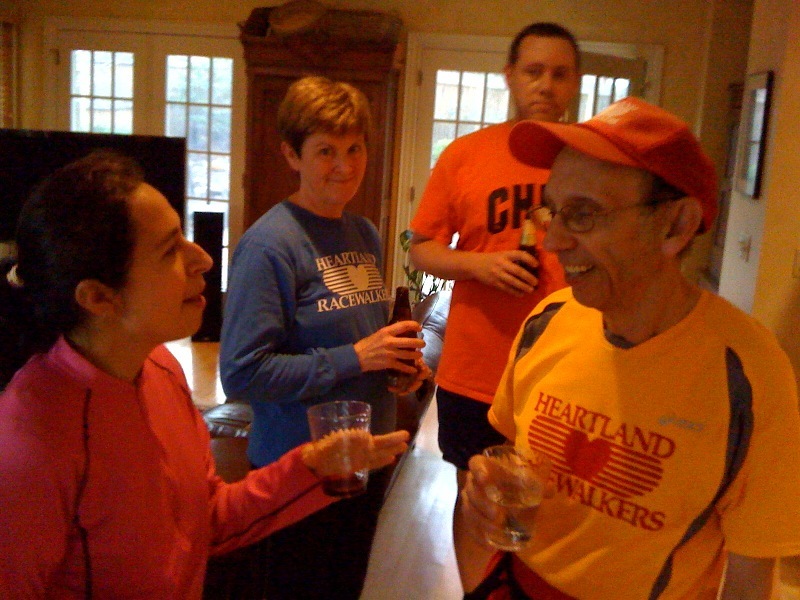 Racewalker Alan and runner Elizabeth compared notes after enjoying the route to Loose Park. Apparently everyone else in KC agreed since the Loose Park trail was packed with people after a long cold winter. Come on out the winter is officially over.